December 18, 12pm & 8pm. 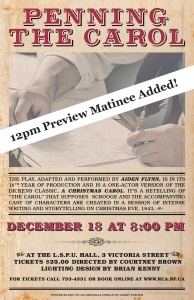 Aiden Flynn performs a solo retelling of Charles Dickens’ A Christmas Carol. The play supposes that Scrooge and the accompanying cast of characters are created in a session of intense writing and storytelling on Christmas Eve, 1843. Written and Performed by Aiden Flynn. 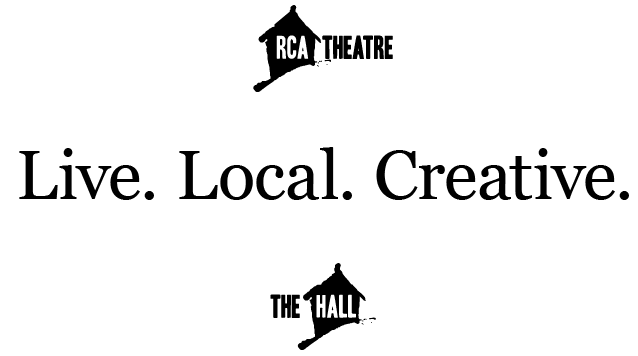 A fundraiser for Resource Centre for the Arts/LSPU Hall.